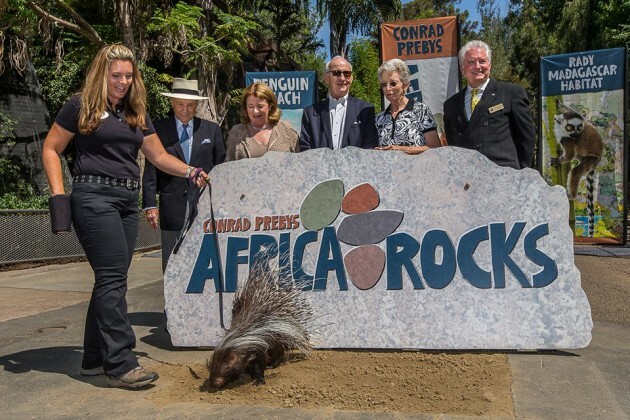 ABOVE: From left to right: Krista Perry, animal trainer, San Diego Zoo; Conrad Prebys, who gave the gift of $11 million for Conrad Prebys Africa Rocks; and Debbie Turner. At center: principal donor Ernest Rady and wife Evelyn Rady. 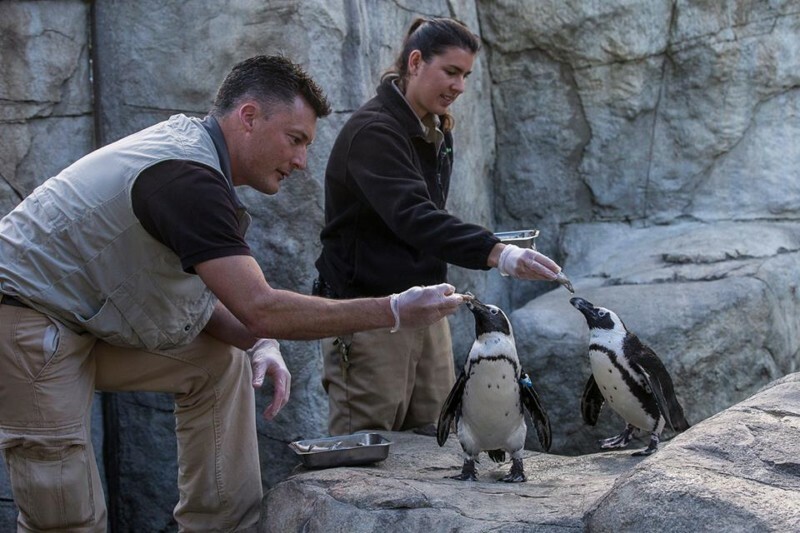 At far right: Robert Horsman, chairman of the board, San Diego Zoo Global. San Diego, CA, USA (July 29, 2015) — An African crested porcupine had the honor of taking the first dig this morning, when the San Diego Zoo broke ground on the largest expansion in its 99-year history. 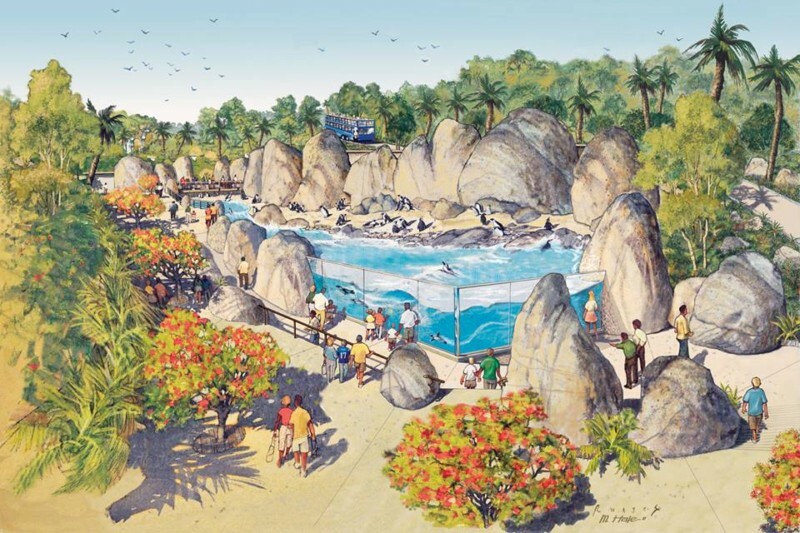 Conrad Prebys Africa Rocks is a $68 million project that will transform eight acres of the Zoo and replace 1930s-era grottos and enclosures (formerly known as Cat and Dog Canyon) with new habitats for African plant and animal species that range from savanna to shore. When the exhibit opens in 2017, Africa Rocks will entirely transform the area that was previously a steep canyon. 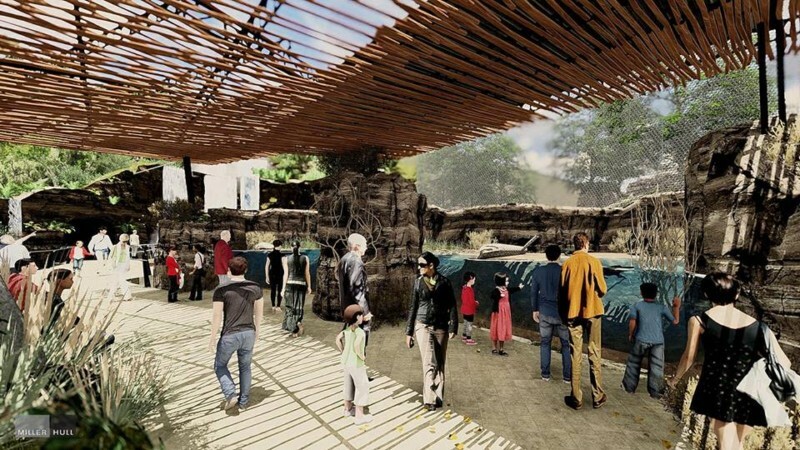 Africa Rocks’ gently winding, ADA-accessible pathway will lead guests through different types of African habitats—including a West African forest, acacia woodlands, Ethiopian highlands, kopje gardens and a Madagascar habitat. More than 4,500 individual donors, including the visionary gift of $11 million from Conrad Prebys, have contributed to the Africa Rocks Campaign. 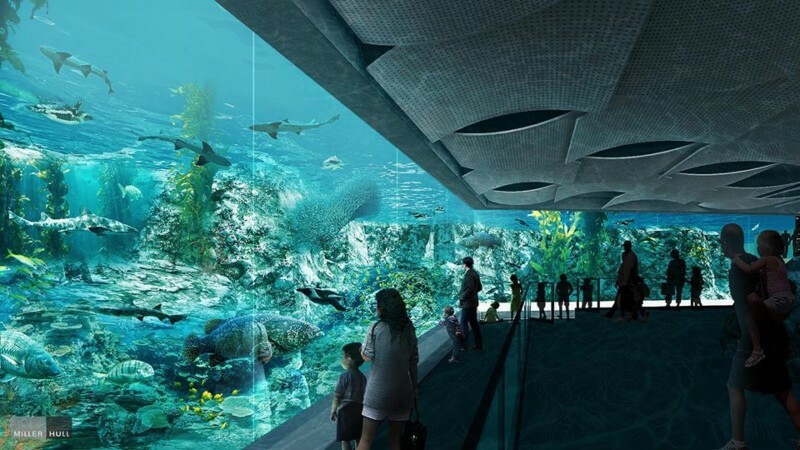 Principal donor Ernest Rady provided a $10 million matching gift challenge in 2013 that resulted in 3,800 individual donors giving more than $20 million toward the exhibit. 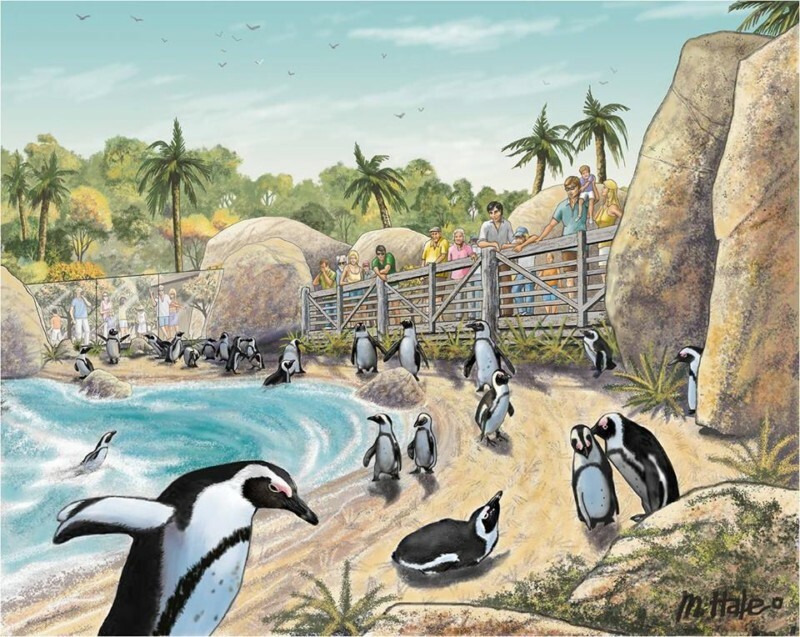 Other principal donors, Dan and Vi McKinney, gave $5 million for the creation of an African penguin habitat. Additional funds have been generously given by corporations, private foundations and estate gifts. 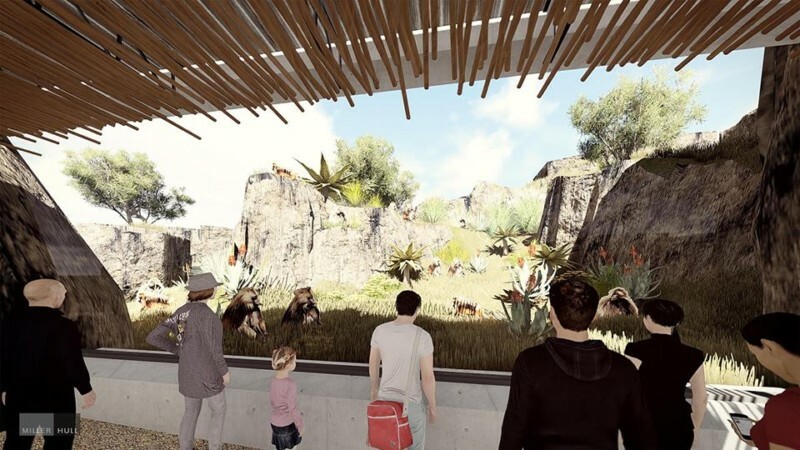 Africa Rocks will be a home to mammals, reptiles, birds, and plant life native to Africa. The exhibit will feature a range of primates, including hamadryas and gelada baboons, vervet monkeys, and lemurs. Other mammals in the exhibit will include southern ratel, fossa and an African leopard. 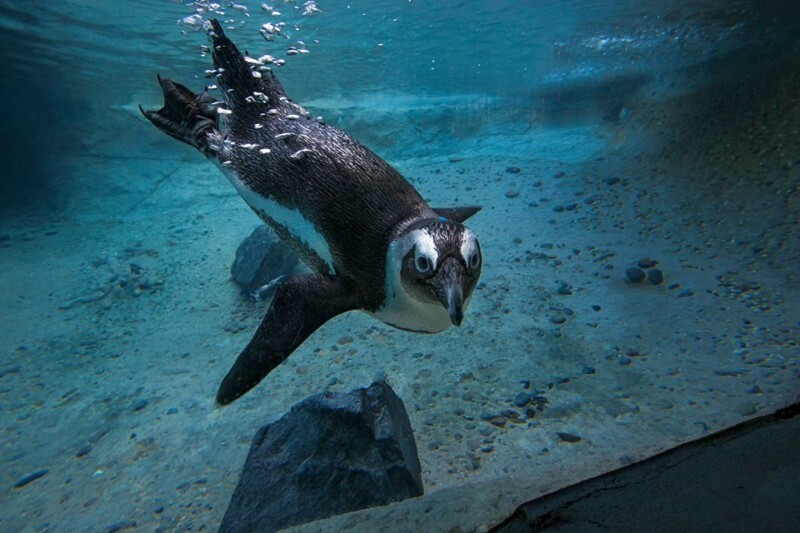 The Zoo is now home to two African penguins, found in the Children’s Zoo—but expect this number to grow when Africa Rocks’ penguin beach opens, and the Zoo begins its participation in an international species survival plan for these endangered aquatic birds. There will also be a walk-through aviary with sociable weavers. Dwarf crocodiles will be among the reptile species in Africa Rocks, which are the smallest of the crocodile species. Other reptiles featured in the exhibit will include Agama lizards and spurred tortoises. 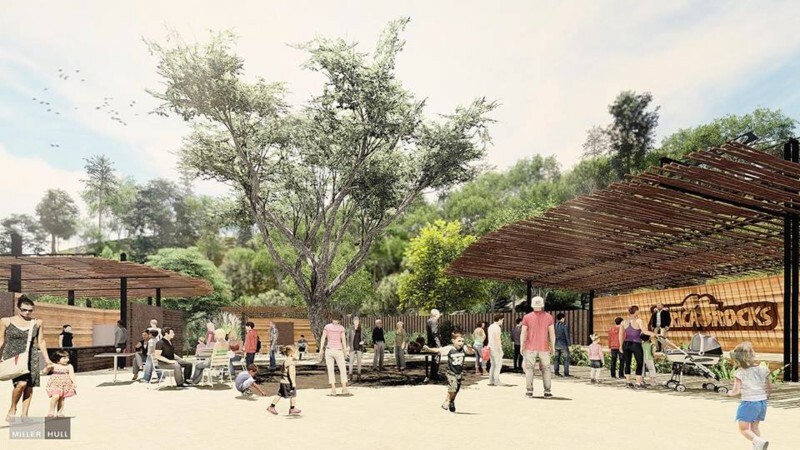 The Zoo will also be relocating several old-growth trees, including a ficus and a sausage tree. Other African-native plants in the exhibit will include acacia, aloe, Madagascar ocotillo and palms.